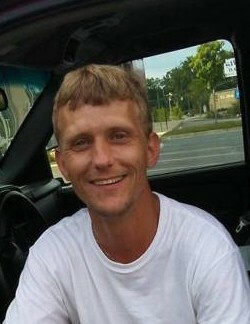 John Houston Holmes, 35, of Columbus, GA passed away Friday, November 2, 2018. A funeral service will be at 6pm Tuesday, November 6, 2018 at Vance Brooks Funeral Home in Phenix City. The family will greet friends from 5-6 and he will be buried at Lakeview Memorial Gardens. John was born in Columbus on April 11, 1983 to the late Loyd E. Holmes, Sr. and Belinda J. Stephens Holmes. Other than his parents he is preceded in death by his Grandmother and “PawPaw”, Clora and John Stephens. He is survived by his son Hayden Holmes; siblings, “Bubba” Holmes and wife Shanda, Kimberly Hardy, Taylor McCrary and “Big Sister” Kimberly Vaught; “Dad and Mom”, Jeff and Michelle McCrary; other extended family and caring friends.